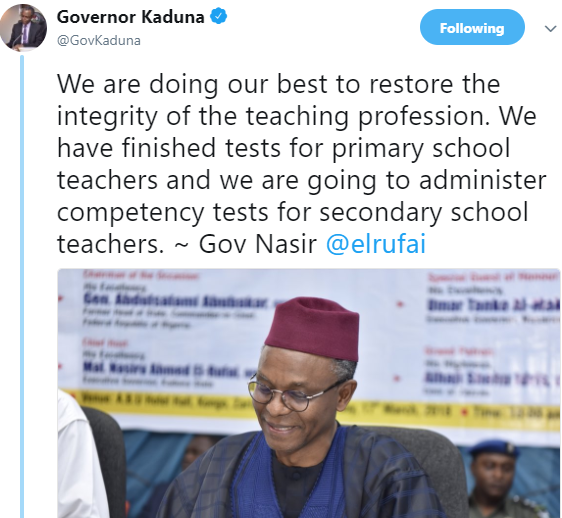 The Kaduna state government says it is planning on conducting a competency test for secondary school teachers in the state. Recall that over 21,000 primary school teachers in the state failed the primary 4 set of questions given to them during their competency test conducted. The state government’s decision to sack the incompetent teachers met stiff opposition by members of the Nigeria Labour Congress NLC and member of the opposition party in the state. Governor Nasir El-Rufai via his official twitter handle, revealed that a competency test for secondary school teachers is underway. 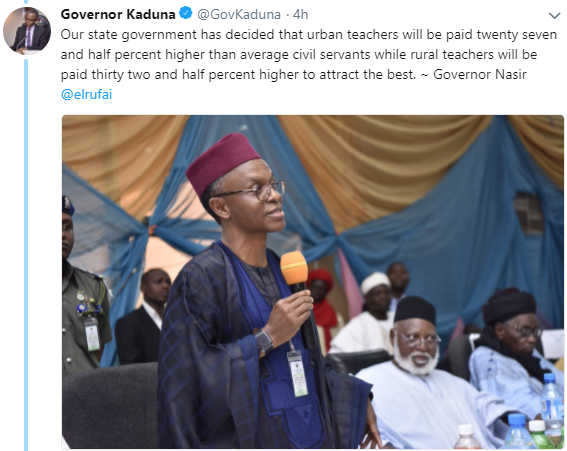 He also revealed that the state government has decided to pay urban teachers twenty seven and half percent higher than average civil servants and rural teachers thirty two and half percent higher to attract the best. Next Article Next post: BBNaija 2018 Drama: Here Is How Nigerians Voted For Their Favourite Housemates.